Home › Newsroom › BRIT Awards: A Small Step or a Giant Leap? It was a night in which relative newcomers triumphed but was it a whole new era for the BRIT awards or business as usual? The big winners of last night’s ceremony were Stormzy and Dua Lipa, who both walked away with two awards. 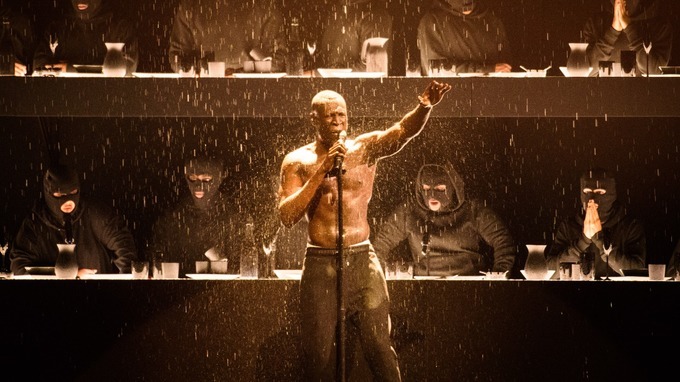 Stormzy was named best British Male and also picked up British Album of the Year for last years ‘Gang Signs and Prayer’. The BRITS was the latest awards ceremony to show support and solidarity with the ‘Time’s Up’ movement, with artists including Lipa and Ed Sheeran wearing white rose pins or carrying white roses to protest against sexual harassment in the entertainment industry. Elsewhere, Stormzy rapped “Theresa May where’s that money for Greenfell? in the closing performance and Damon Albarn started talking about Brexit, only to be curiously cut off during Gorillaz’s acceptance speech for their best British band award. Outside of that, surprises were thin on the ground, but it was encouraging to see the BRITS finally acknowledge grime for the cultural force that it is. Overall, the show felt like a small step rather than a giant leap. Every single female that’s been on this stage before me that has given girls like me - not just in the music industry but in society - something to look up to and has allowed us to dream this big. Here’s to more women on these stages, more women winning awards, and more women taking over the world.